Think twice before you drive into downtown Detroit. It’s not that you’ll be carjacked or get lost on our bewildering road network, but you will get ripped off if you deign to park here. Under Emergency Manager Kevin Orr’s recent ordinance, you will be forced to pay $45 for the offense of an expired parking meter. In one fell swoop, Orr increased fines for all parking violations and removed the 10-day reduced rate window. The outcome is penalty hikes of up to 450 percent. Let’s put that into context. For someone making minimum wage (currently $7.40/hr in Michigan), it would take a full day of work just to pay off this parking ticket. Remember that Detroit is the city where people are choosing between their water bills (otherwise it’ll get shut off), their property taxes (otherwise the city will take your house) or mortgage payments (otherwise the bank will take your house). 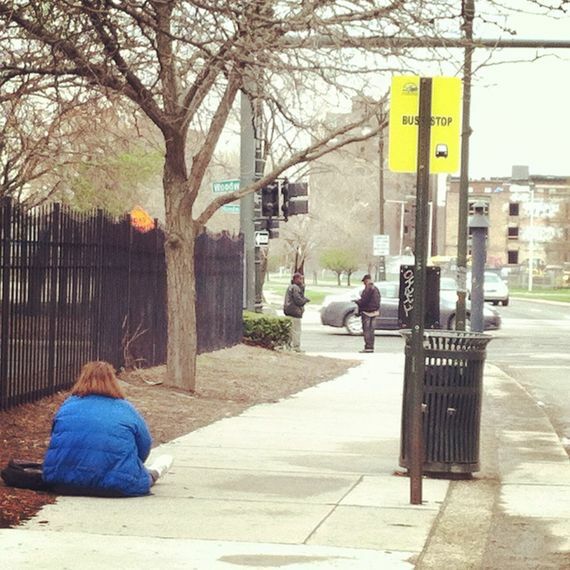 The fine is that much more excessive for the reported 23 percent of Detroiters who are unemployed (that’s 6 points higher than the next-worst city on the list). And even if you are a lucky soul with a decent income, just imagine driving up to one of the few remaining downtown shops to purchase a $3 coffee, a $10 lunch or a $15 t-shirt and then facing a $45 parking ticket when you return to your car. You aren’t likely to take that risk again- better to shop at the mall or order online. Detroit residents are already used to paying more and getting less: city services have faced cut after cut as the population shrinks while the cost of maintaining them only increase in the face of aging infrastructure and chronic mismanagement. Car owners will tell you that insurance rates are over 50 percent than the next highest city in the country by some estimates . This wouldn’t be such a big deal if Detroit had any reasonably functioning public transportation system, but we don’t. Even in the immediate downtown area, most bus stops lack seating or shelter for riders, who may wait up to or ove r an hour for the privilege of taking a bus. The People Mover monorail offers a lovely visual tour of Detroit but is not terribly useful for the 99.9 percent of residents who don’t live along its circuit. Well, if you can’t afford a parking ticket, don’t break the laws, right? It’s not so simple. 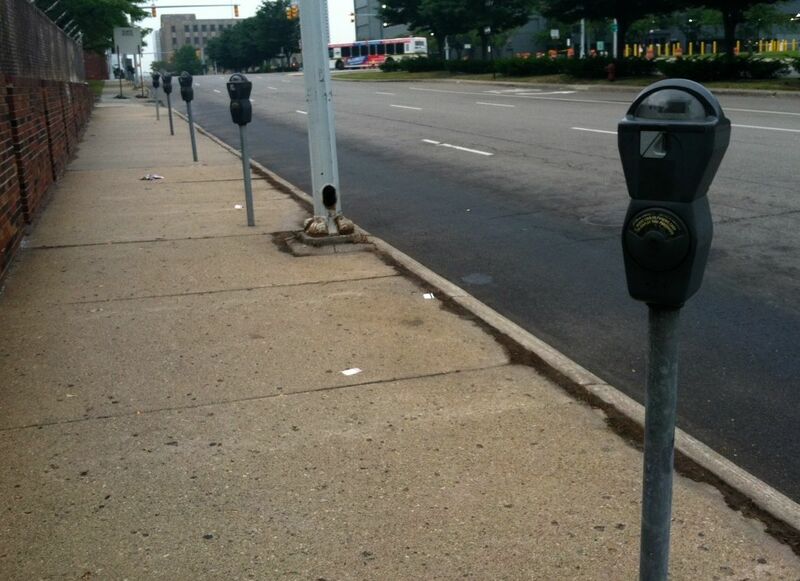 Parking meters in Detroit have 2-hour time limits. If you want to stay awhile, you’ll have to park in the many (constantly proliferating) paid lots which are significantly more expensive. Deferring traffic from the sidewalks into parking structures removes low-cost parking options to those who live in, work in and visit Detroit while siphoning money to the corporations who manage those lots. If that were not enough, Kevyn Orr is now looking into privatization of the entire parking network in Detroit. This would mark yet another step in the blatant transition of all resources in the public trust into private hands and city residents and elected officials are helpless to stop it. Many tickets are not incurred through intentional subversion of traffic laws. Chronically broken meters, ambiguous signage and bad luck all play a role. After the facing sticker shock at the windshield wiper wears off, many people chose to contest their ticket. If you pay a visit to the Municipal Parking Department (easily identifiable by the sudden appearance of parking meters immediately outside), you may see a judge that same day, but it’s unlikely justice will be served. On a recent visit there, I witnessed bewildered citizens cite case after case where they had tried very hard to avoid a ticket but unwittingly stumbled into various traps. The presiding Judge told one woman “do not pay attention to the paint” when she showed a picture of painted pavement that indicated parking was allowed. To a man who parked within a curbside space inset from the road, the judge advised that the man should have known not to leave his there “unless there is a ‘Parking Allowed’ sign.” The whole ordeal adds insult to injury, these people would be better off at work trying to make a dent in their fines. “Are you prepared to pay your ticket now?” you will be asked after your ill-fated challenge is denied. To be fair, Detroit is bankrupt. In these times we have to make tough choices to balance the budget and bring some income into our struggling city. But is the city there for the people or are the people there for the city? Policies like this parking ticket hike make a marginal increase to the city’s bottom line at the expense of the much-embattled citizens of Detroit. But wait. Kevyn Orr has stated that this measure will not even making a meaningful dent in the public revenue but is rather a symbolic gesture to creditors. In a maddening statement of delusion, he draws a comparison to the Big Apple “..and we did not go to the high end of the rates. These aren’t what you might find for some violations in Manhattan.” If it weren’t already clear Mr. Orr, this is not Manhattan. Which, by the way, has an excellent public transportation system as an alternative to driving. Which, by the way, has no problem attracting residents and visitors. Which, by the way, actually charges less than Detroit’s new rates for the entire city other than Manhattan-proper. Here’s a quick lesson in economics: Detroit is not what you would call a “seller’s market.” People can, and will, leave if we force them to. Actually, the joke is on us. The Emergency Management understands economics perfectly. They know that a great way to eke value out of a surplus commodity is to simulate shortage. These excessive fines do just that: they make street parking unusable for most people who spend time downtown. There is a particular shade of irony to this “problem” given the true abundance of available parking in a city built around the automobile for a population over twice its current level. If not directly malicious, this policy represent a frustrating lack of vision on the part of the Emergency Management- (not surprising for temporary appointees). The fee hike values short-term profit at the expense of long-term patronage of the downtown area. While the administration collects excessive fines with one hand, it hands out sweetheart deals to the other. Apparently we are capable of considering the long game as long as corporations stand to gain: take the recent $1 sale of land valued at $2.9 million to sports magnate Mike Ilitch . Now all we need are some smallpox blankets (I know you’re with me L. Brooks Patterson) and we have quite a deal! A public hearing was held before the parking meter ordinance was officially passed. It was a sweet charade of democracy in a decision that was decided long before the public got their say. This week’s primary election had at-or-near record low voter attendance for Detroit  underlying what a strange exercise voting is in a city under emergency management. In effect, Detroiters’ task is to elect people into office who won’t use their power to undo our other votes by surgically removing our vocal chords. Michigan’s current leadership has taken Detroit’s imbalanced budget as evidence of our inability to self-govern. Imagine Congress saying to President Obama “Just look at the deficit you’re running! We’re going to have John Boehner take over until things are straightened out. Or maybe thing will go faster with, say, Lindsay Graham. You brought this on yourself.” That’s pretty much what we are living through right now- temporary dictatorship. Simply put, the punishment for parking violations do not fit the crime and Detroit will ultimately suffer the consequences. I know it’s hard to get worked up over parking meter fines in a city facing water shut-offs for as much as 40 percent of its residents,  but it is another example in a series of assaults wherein Detroiters are being squeezed a little harder. You can’t draw blood from a stone, but a thousand paper cuts just might kill us. This article was also published by the Michigan Citizen here and by Huffington Post here. 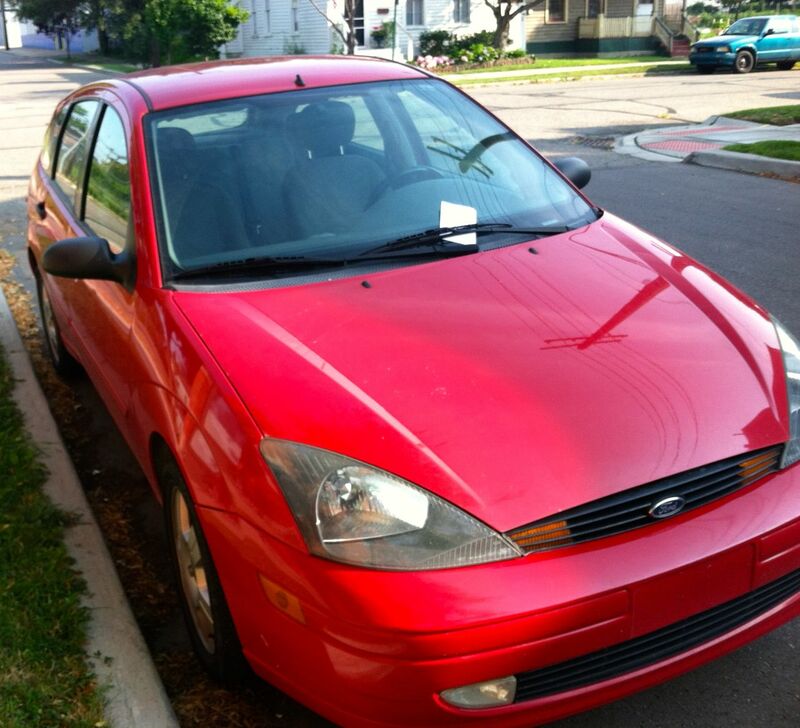 This entry was posted in Detroit and tagged Detroit, kevyn orr, parking. Bookmark the permalink.